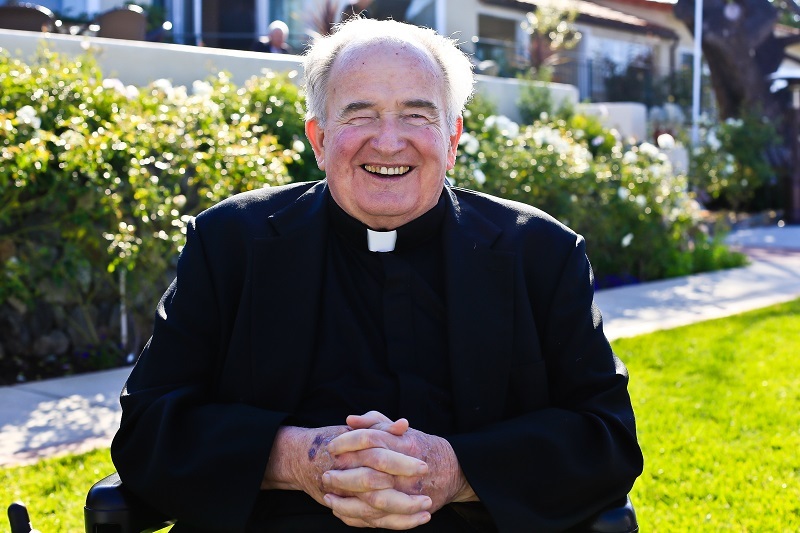 Father Joe Carroll is President Emeritus of Father Joe's Villages. He has long been known for tirelessly caring for the most vulnerable in our community and now, he is asking for a little bit of our help. On February 1, Father Joe is scheduled for a surgery due to complications with diabetes. His doctors noted he may require blood. Because of this, he is encouraging the community to donate in support of the blood he may need and in support of our neighbors. San Diego Blood Bank is tracking the number of blood donors who give in honor of Father Joe until Valentine’s Day. Let's give with compassion as Father Joe has done his entire life. When you donate blood, you can do so in honor of his spirit and leadership. Many donors, inspired by who Father Joe is and his message of kindness and generosity, have already heeded onto the calling and are donating blood. Check out the arm badge on this blood donor, who gave in Father Joe's name. Now this is what loving your neighbor looks like! Make your appointment to donate blood honor of Father Joe Carroll and our neighboors. 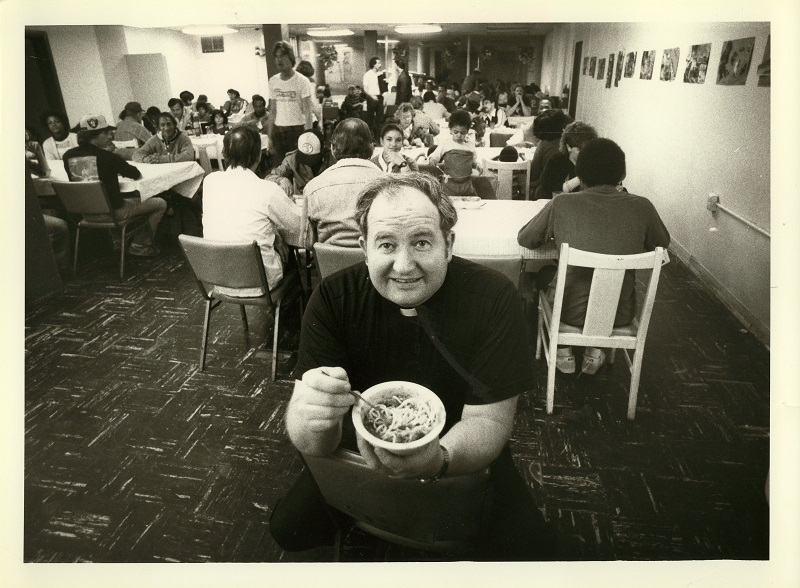 Mention "Father Joe" when you donate!